On one of our recent trips to Southern California, we made it a point to stop at Heritage Garage in Costa Mesa. 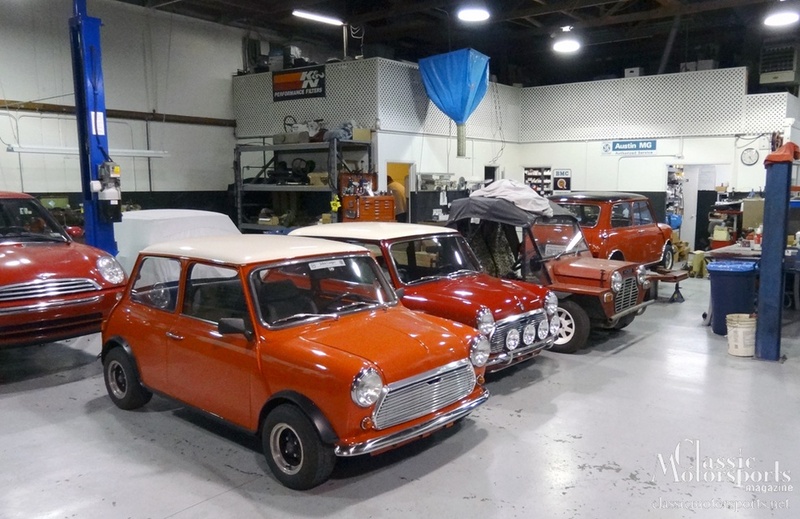 Graham Reid, the owner, has built one heck of a business restoring and servicing Minis as well as selling new and used Mini parts. 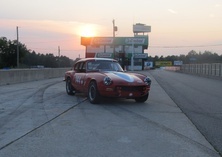 Heritage Garage has been operating for many, many years. We got to look over and photograph a couple of real Cooper S cars on our tour. That taught us a lot. As we mentioned a previous update, we sourced a used driver’s door from Heritage Garage. We also picked up the throttle support and air cleaner mounting plate for a 1275 Cooper S.
Another cool item that Heritage Garage makes is the correct speedometer gear for when you convert your final drive from the original 3.44:1 to our more highway-friendly 3.10:1 final drive. All in all it was a very enjoyable visit. We got some of the parts we needed and learned a lot more about early Minis.